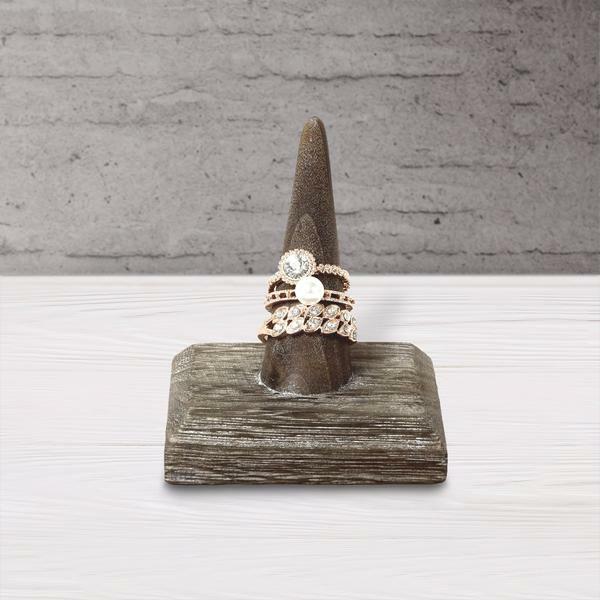 Invest in these new display risers for your jewelry shop this Spring. 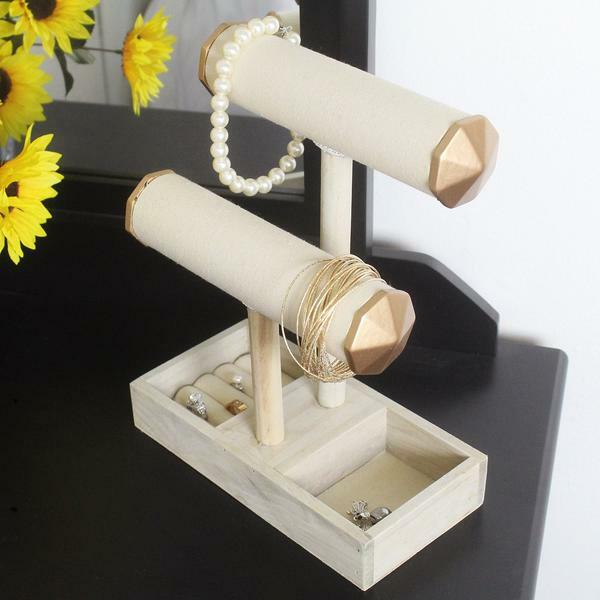 Risers have their share of benefits for a jewelry display. 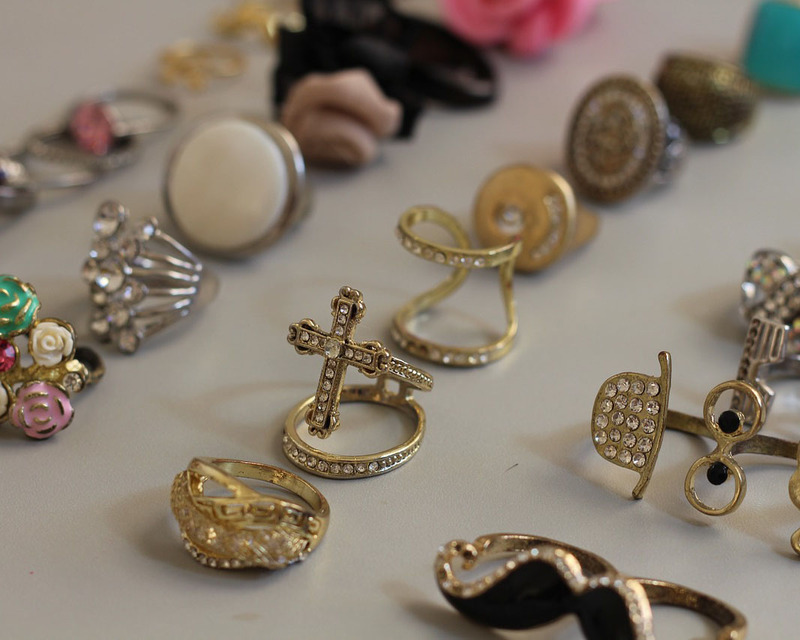 They create visual interest, can be used for every kind of jewelry piece and accessories, and save space. 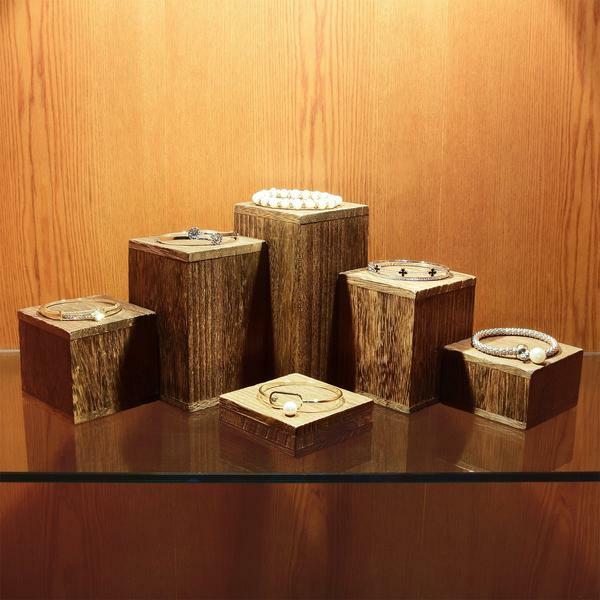 Because of these, we believe that risers are a must-have for every shop, as with the traditional jewelry displays. That is why for today, we will put the spotlight on to our three new sets of risers that would make your items look even more eye-catching. These wooden hexagon risers are perfect for window displays, craft and trade shows, and even for personal use. Aside from jewelry pieces, these can also be used for collectible toys like Funko Pop. The set includes six pieces of hexagon risers of varying heights which are also available in two other colors. If you are not a fan of hexagons, there are square risers available as well. Just like the first set, these are made of wood yet are pretty lightweight. 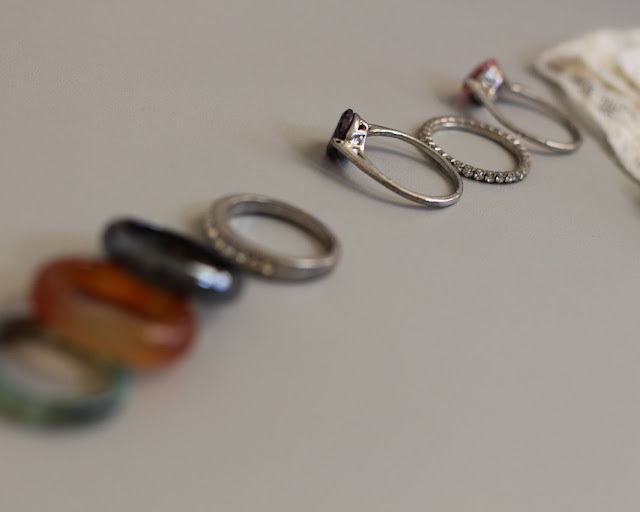 These risers are ideal for bracelets and rings because they make a great contrast to the round shape of the jewelry. The set includes six risers of different heights, and it is also available in two other colors of wood. Our last set is the round risers. 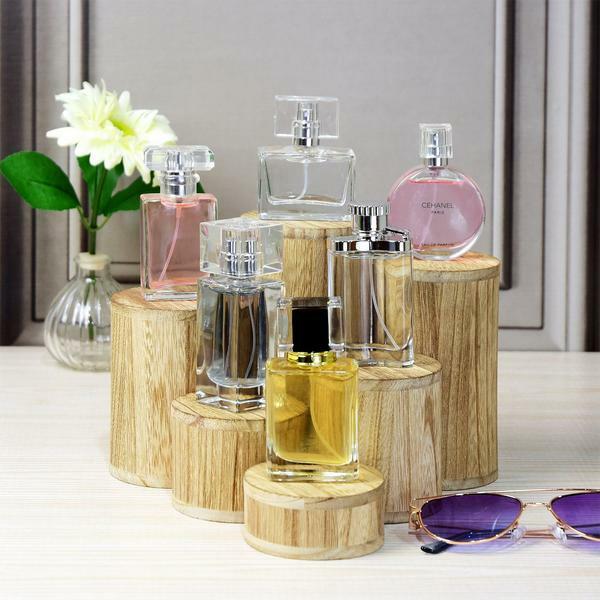 Although they’re perfect for collectibles and jewelry pieces, they are also ideal for displaying perfume and other bottles with a square shape. This contrast of shapes makes the items stand out even more. 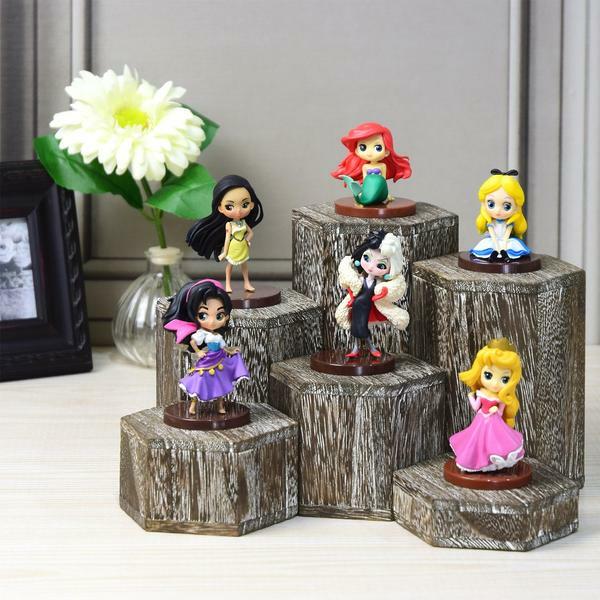 The wooden risers are available in two other colors and come in a set of six. Display risers can boost the appearance of your shop display. They provide a unique blend of design which will make your items for sale even more eye-catching. Also, these risers give you the freedom to organize them in any way you like. Do you agree? What other items do you use risers for? Share your thoughts in the comments below! Add some spring mood to your shop with these new lovely wooden displays. Spring, as we know, is the season of renewal and rebirth. 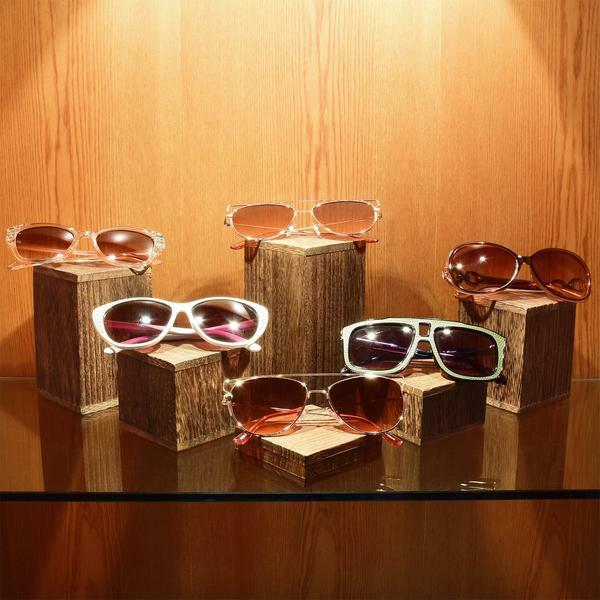 The western culture also associates this season with the element of wood. That is why one effective way to add a spring mood to your jewelry shop is by using wooden displays. 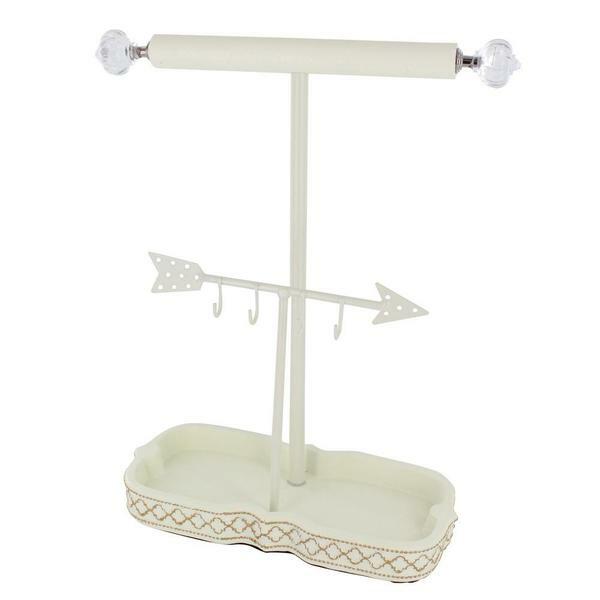 If you need to highlight a single ring or a set of rings, this ring holder with a sturdy base is the perfect piece to use. 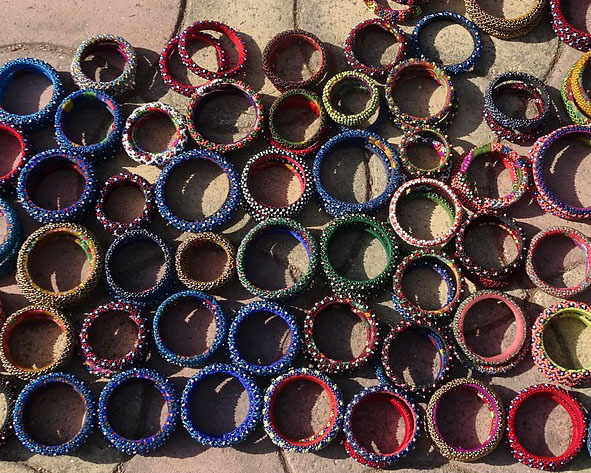 It’s aesthetically pleasing enough to take photos of your items for sale to post in your Instagram account. This display is space-saving and at the same time, eye-catching. 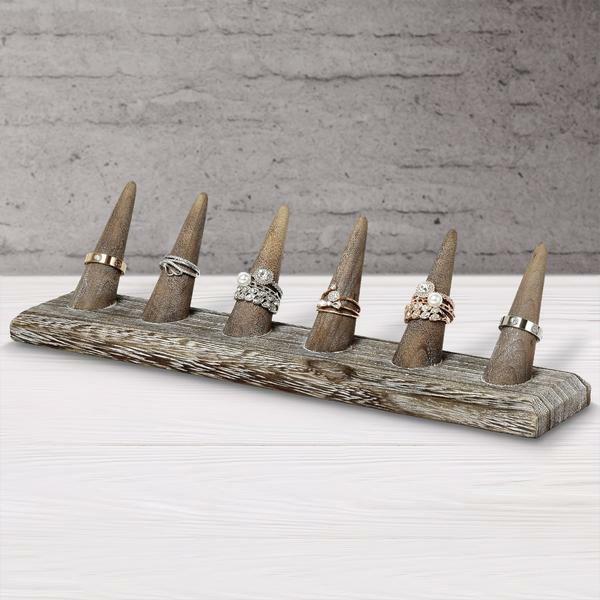 This particular ring holder is available in various colors of wood, and if you need to showcase multiple rings, holders for two rings, four, and six rings are also available. 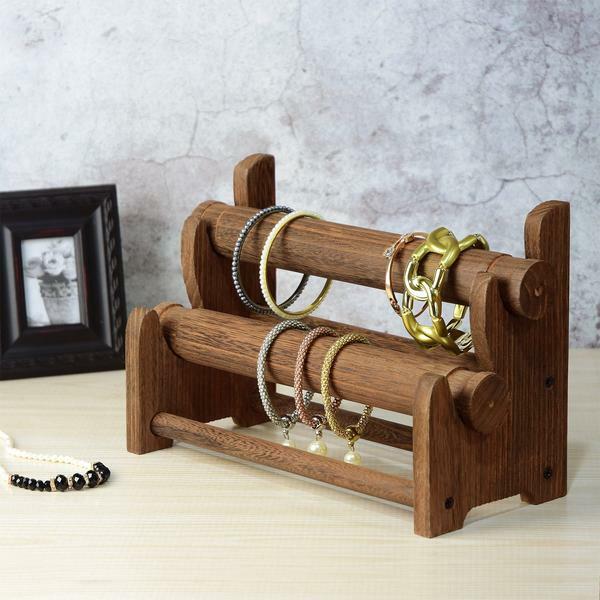 Bracelets will look much more appealing in this wooden bracelet and bangle holder. 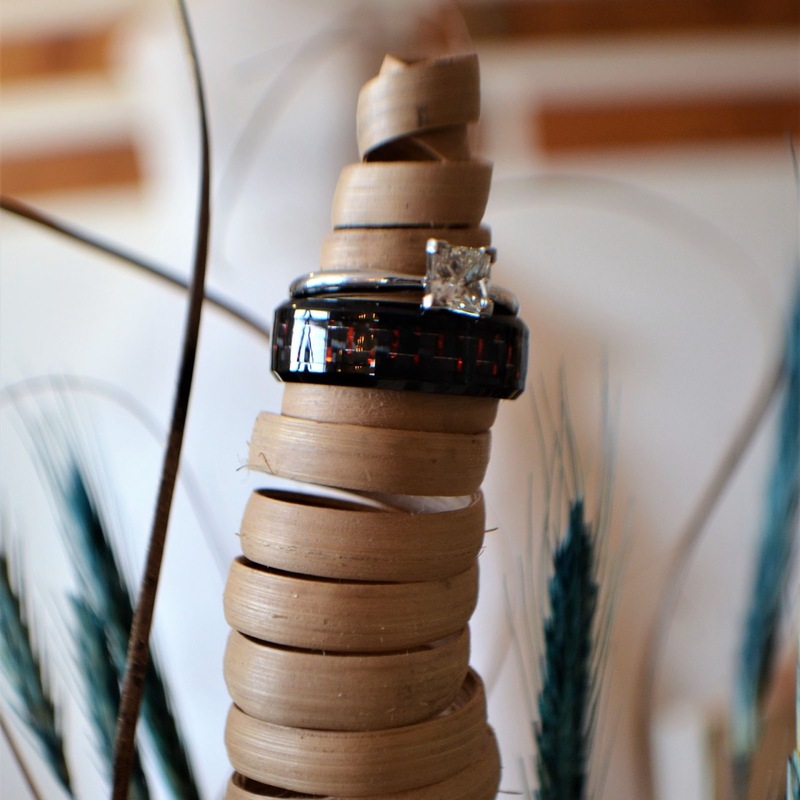 It features two tiers of wood of different heights. It has that antique feel to it, so it’s also perfect for showcasing vintage pieces. 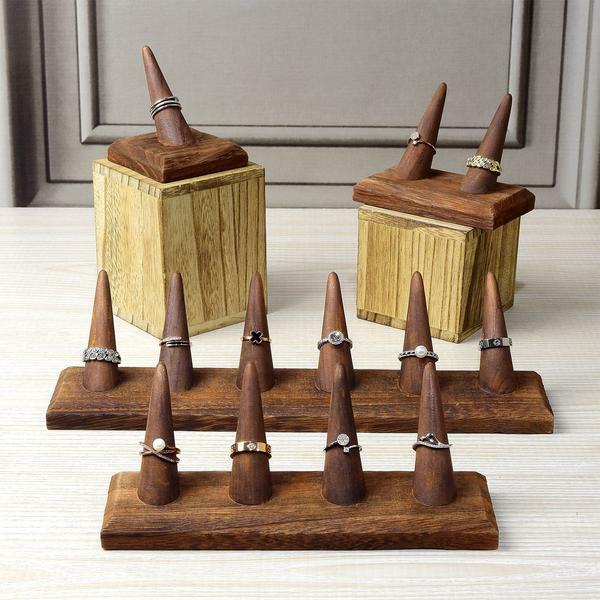 This holder is available in three wooden colors -- natural wood, coffee, and brown. Because of how it’s made, it’s durable enough to withstand extended use and is ideal for those who are craft and trade show regulars. 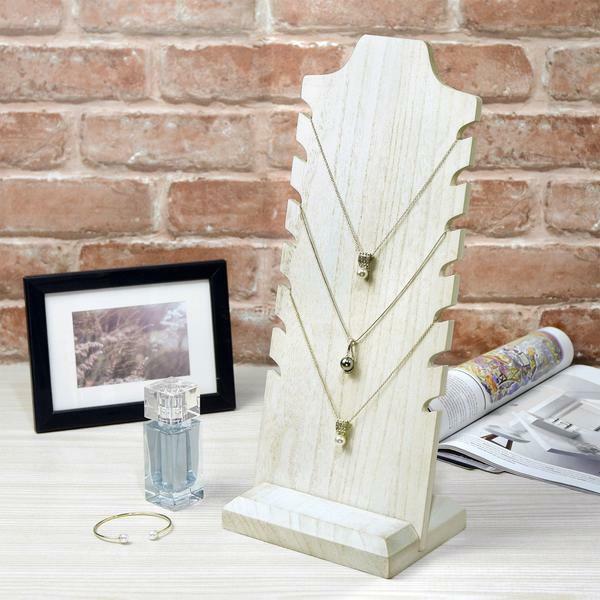 If you need a minimalist display for your necklaces, this wooden stand is a perfect choice. 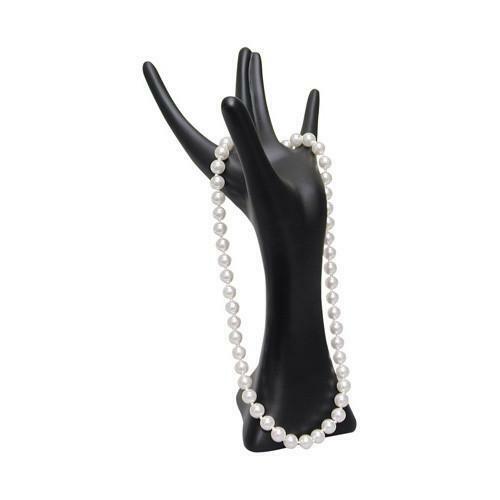 Simple but truly elegant, this necklace bust is also lightweight and durable. 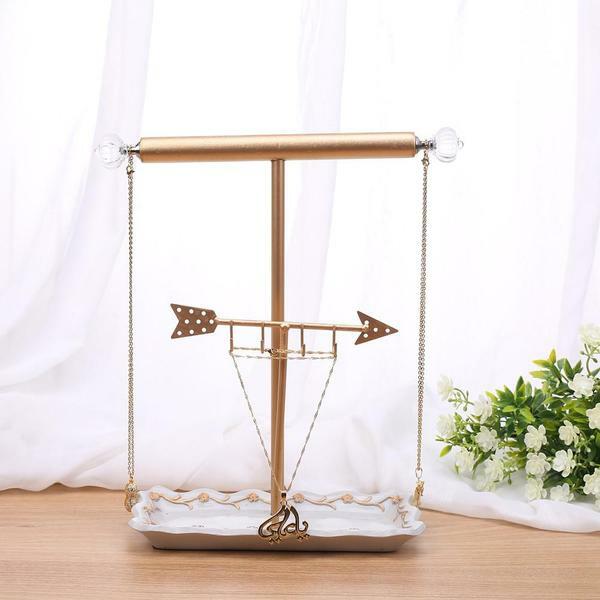 It features 14 slots to hold up to seven necklaces. 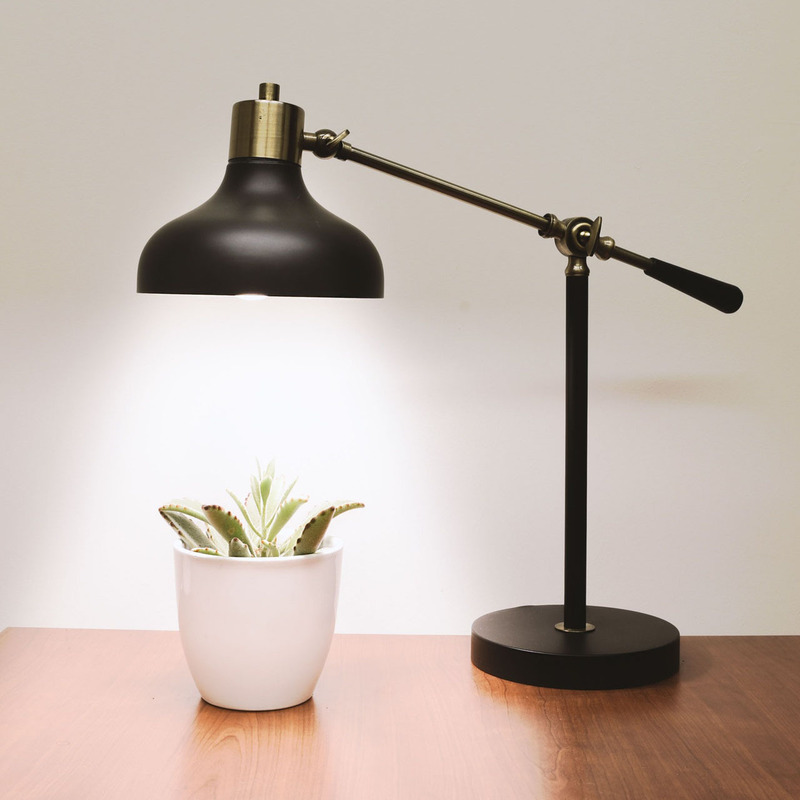 It comes with a sturdy base, so you don’t have to worry about it tipping over. 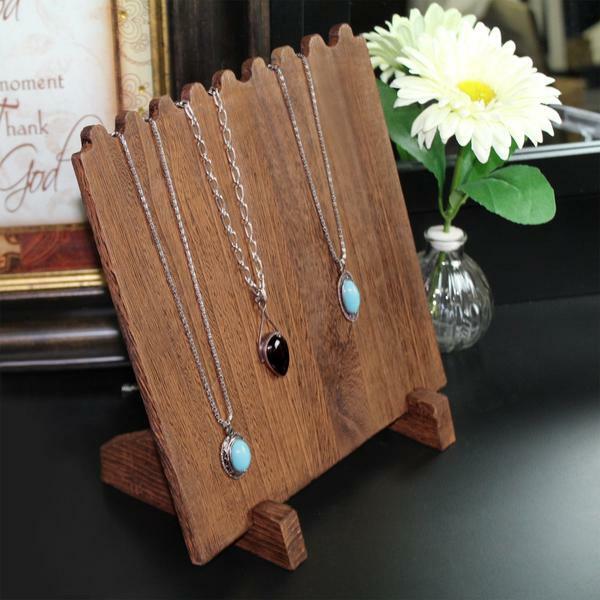 This space-saving necklace display is also available in two other colors. 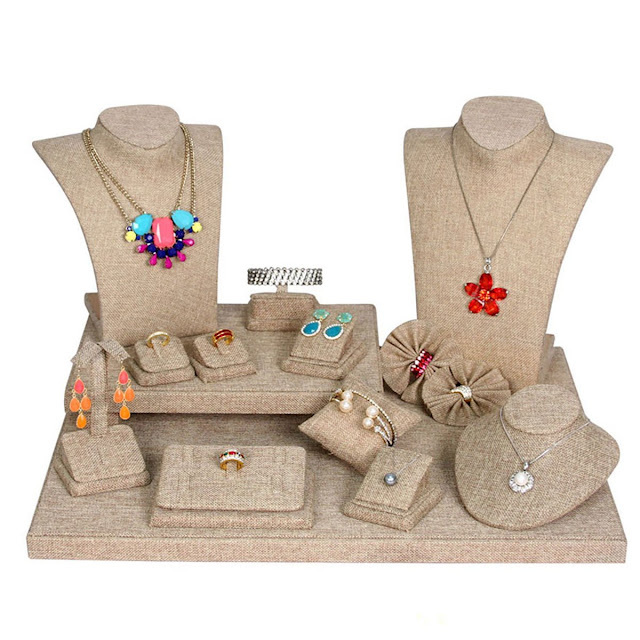 If you need to showcase a set of necklaces or ones that have a similar design but different colors, then this necklace bust set display is the best one to use. 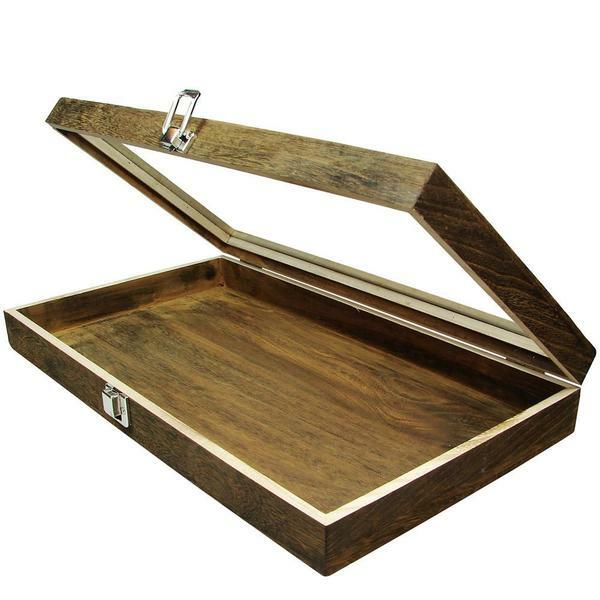 It boasts three tiers and three removable wooden holders and a sturdy base to hold all three. 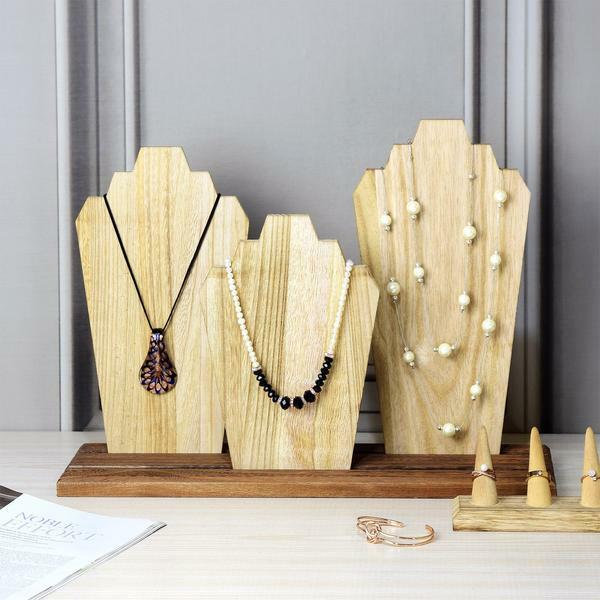 Each board can hold up to two necklaces so you can showcase a total of six for this display set. As with the two previous ones, this lightweight and durable display is portable enough to be used in craft and trade shows. Lastly, if you need something unique that will catch passers-by’s attention, then you got to try this. This hand-shaped ring and bracelet display can either be wall-mounted or placed on the table with a base. If you choose to use the base, you can opt to set it either in an upward or downward position. The “hand” can hold five rings and multiple bracelets. 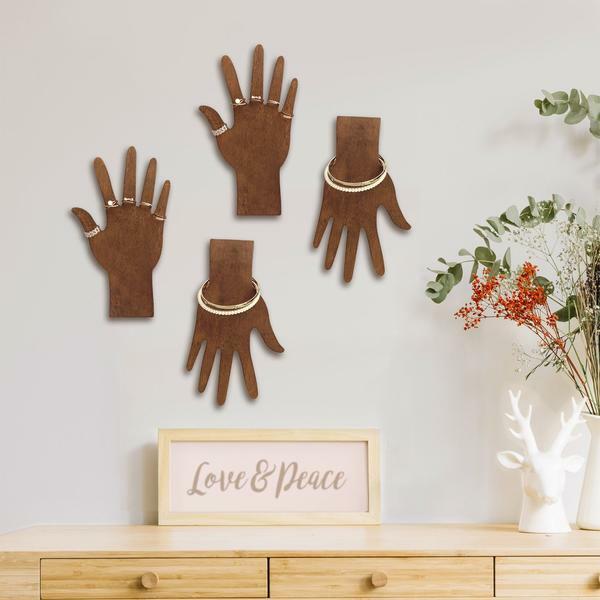 Get as many as you can so you can achieve a creative style of “hands” on the wall! 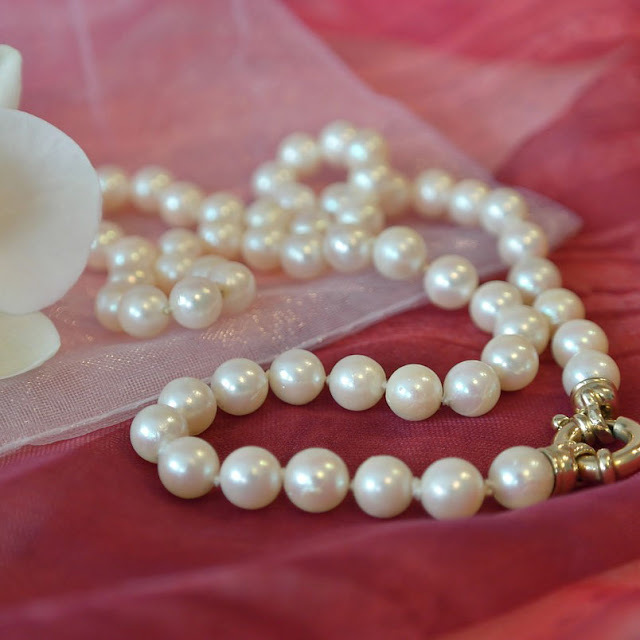 Learn how to make these delicate pieces stand out more with some display tips. Minimalist jewelry is one of the trending styles in the jewelry industry today. However, unlike statement pieces, these delicate ones don’t tend to get noticed much, as they are much smaller and thinner. That said, displaying minimalist jewelry may come off as a challenge to some. 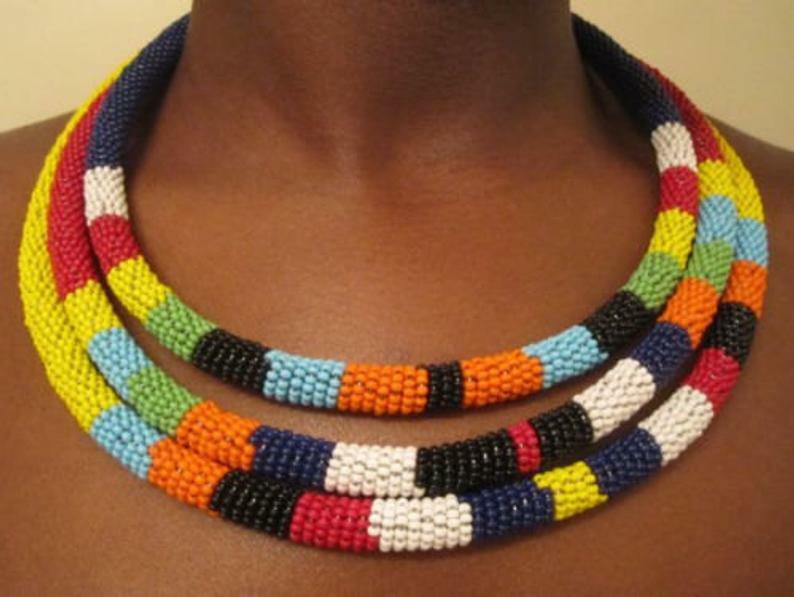 No need to worry though, as today, we are sharing tips on how to make these pieces look more appealing and eye-catching. Minimalist pieces are usually thin, so if you use a display with bold designs, they will melt into the pattern. Thin necklaces will stand out in a solid-colored necklace display, while minimalist rings look pretty eye-catching in black ring finger displays. Metal displays also tend to make these pieces stand out. Display the smallest ones in a group. 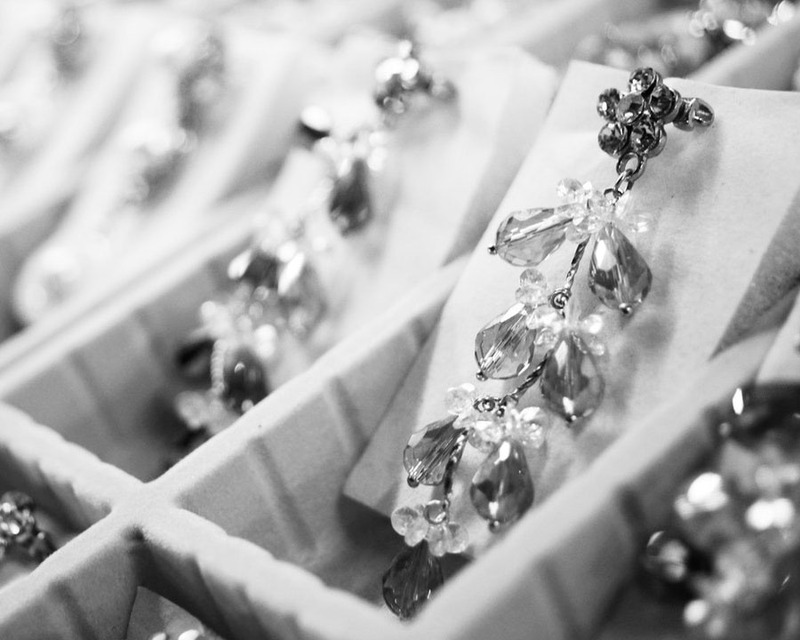 As for minimalist earrings, they are best displayed as a group. 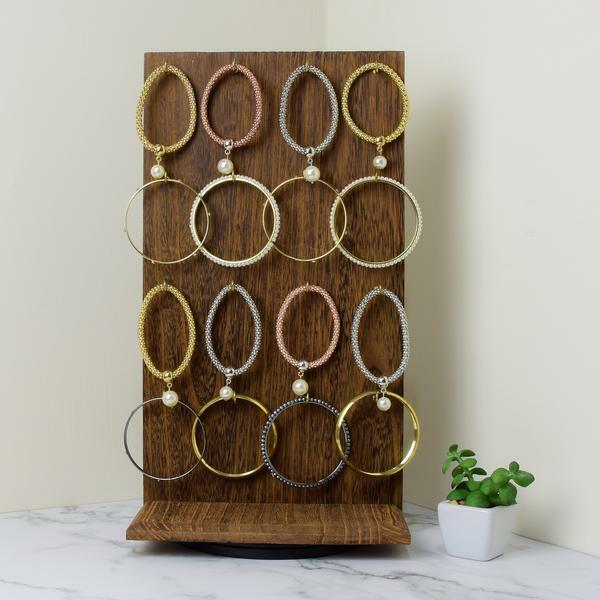 Use solid-colored earring stands or one big stand that can hold multiple pairs. Another benefit of showcasing them in a group is that it lessens the chance of them getting lost, damaged, or stolen. 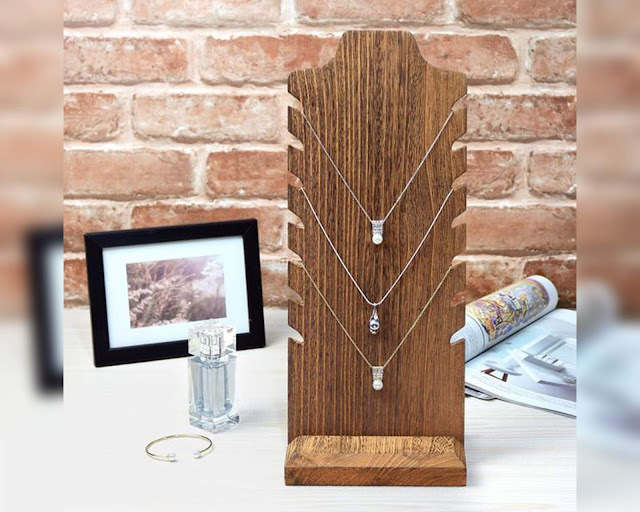 Display them separately with the statement pieces. Avoid placing your minimalist pieces with your statement items if you want them to stand out. Otherwise, the former will get overpowered by the latter. 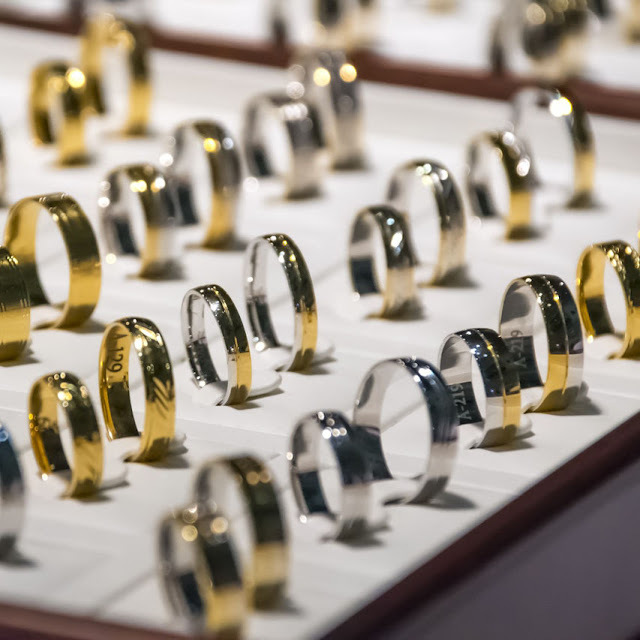 In the same way, do not use the same kind of displays for the two different types of jewelry. Go with the patterned displays for your boldly-designed jewelry, while go with the solid-colored ones for minimalist items. Lastly, proper lighting is the key to highlighting these delicate pieces. 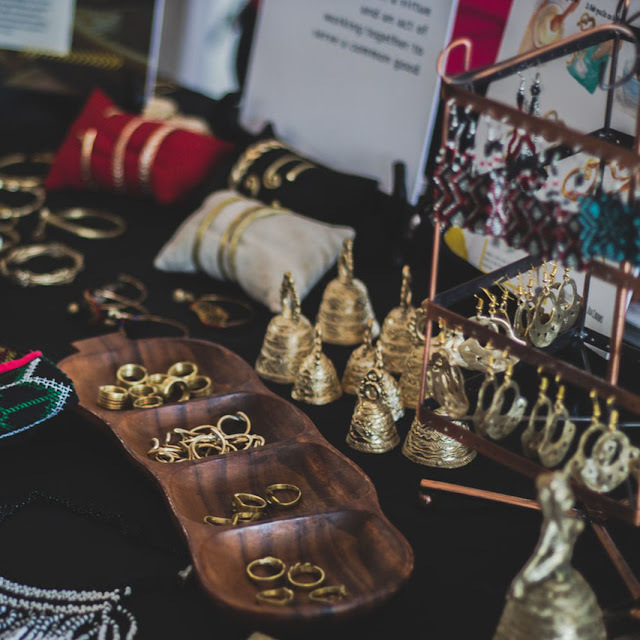 You may use the right kind of jewelry display, but if they are not properly lit up, they still won’t get noticed by your customers, let alone, passers-by. Designate a spotlight for these pieces and make sure they are angled correctly. Use supplemental lighting if needed. Get ready for spring with these floral displays. Spring is here! What better way to celebrate this season of blooms in your jewelry shop by using floral display? Not only do they complement your spring-inspired items, but they also pique the interest of people with their eye-catching and unique designs. 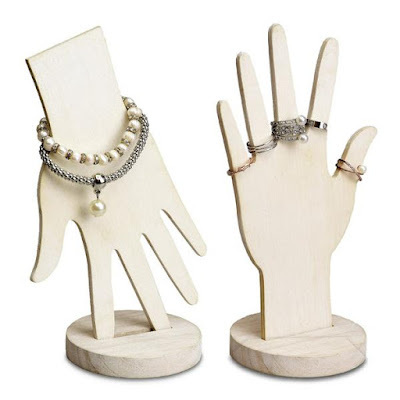 So today, we picked out five lovely jewelry displays that are worth using this season. 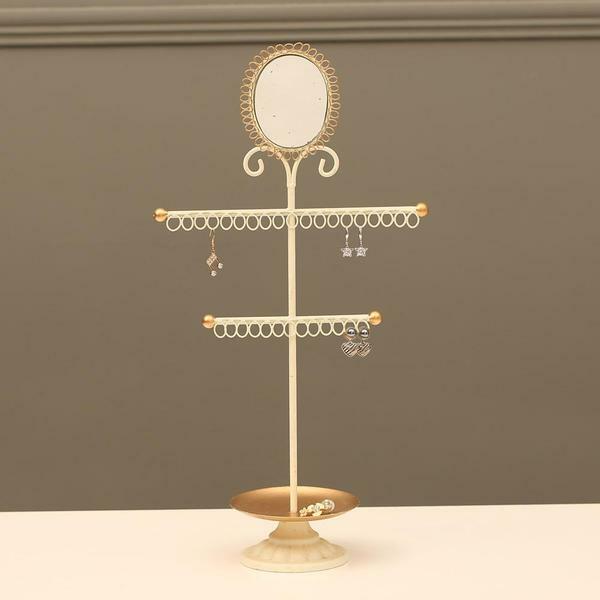 Display those beautiful pairs of earrings using this metal earring stand. 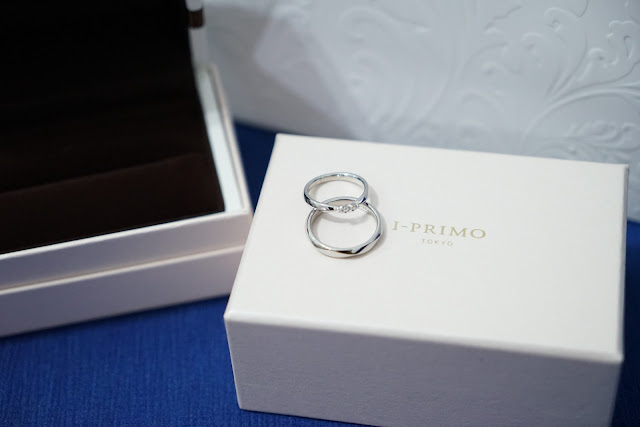 It features 70 holes for 35 pairs, rose and leaf designs around the heart-shaped outline, and an antique silver finish exuding an old world charm. It has a sturdy base, so you don’t have to worry about it tipping over. 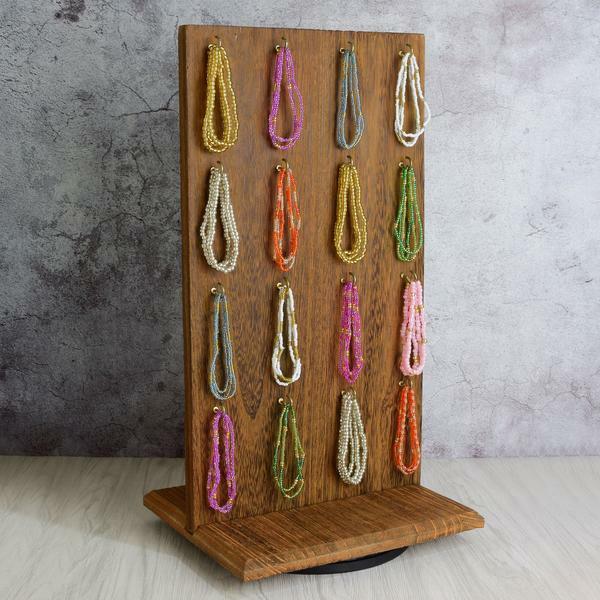 This metal display has a size dimension of 13"W x 4 3/4"D x 13"H.
Showcase your bracelets in this vintage-inspired floral t-bar. 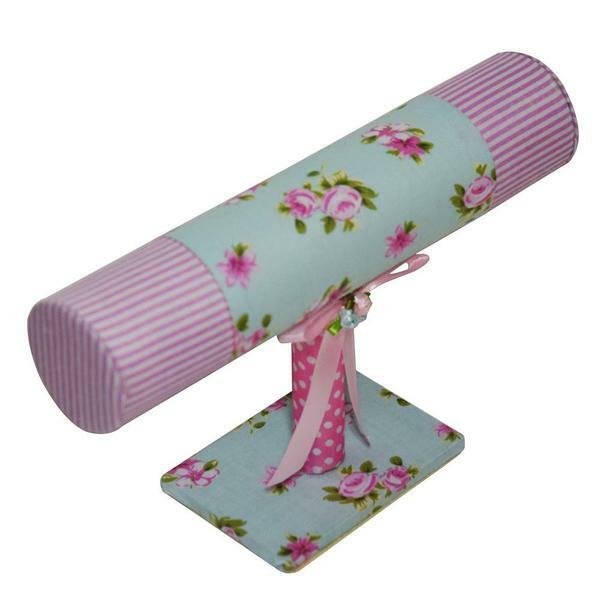 It comes with a pink ribbon for that feminine flair and stripes and polka dot designs for a retro vibe. 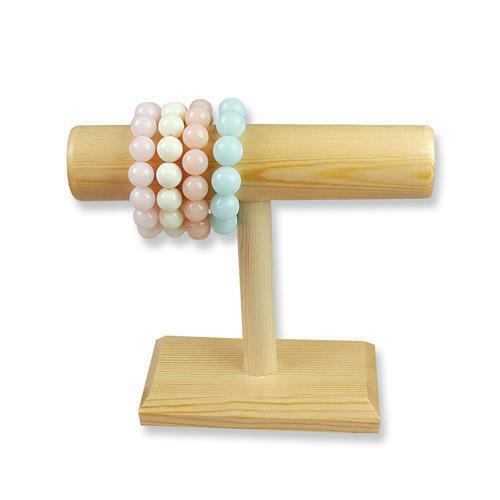 It can hold multiple bracelets at either side and won't tip over because of its sturdy wooden base. 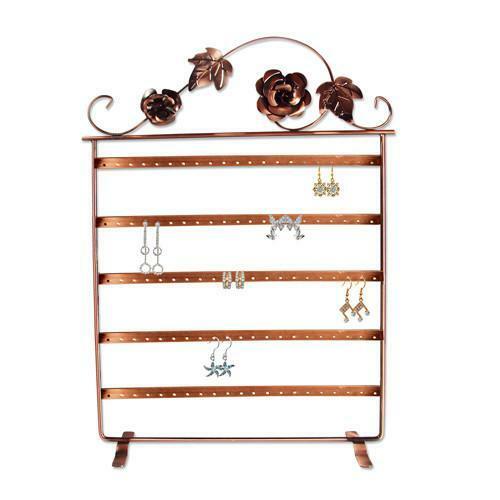 This wooden display has a size dimension of 9"W x 5 3/4"H.
Here’s another metal earring display perfect for the season. Instead of having a heart outline, this one has a square one, and the floral designs are right on top. 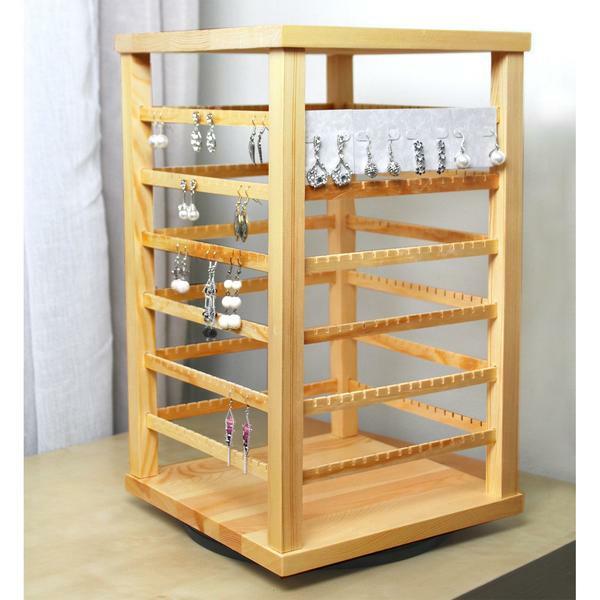 It can hold up to 55 pairs of earrings, so this one is perfect if you have a lot more pairs to offer. It also has that lovely vintage vibe because of its copper finish. 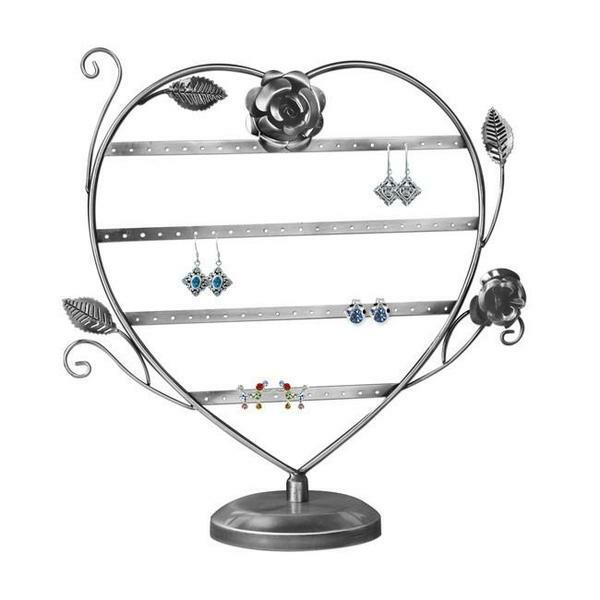 This earring stand has a size dimension of 11 3/4"W x 17"H.
Next up is this elegant looking t-bar display. It features a golden rose pattern on both sides of the bar which matches the textured base tray that has a floral design. This wooden display is carefully covered with white linen to match the golden accents. 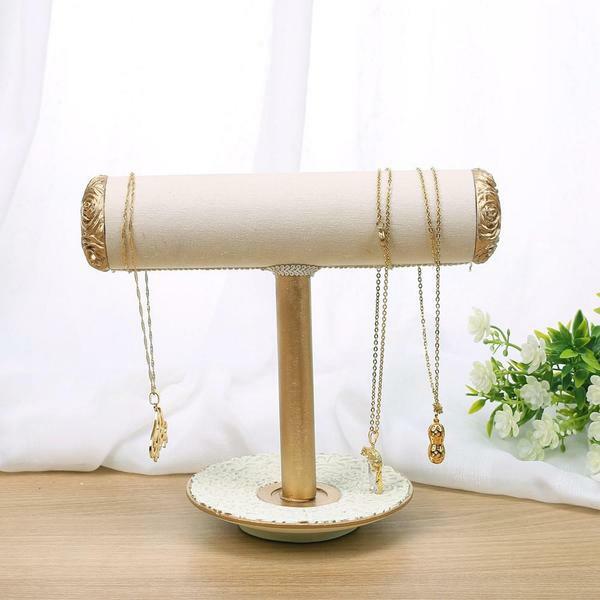 It can hold multiple bracelets or even necklaces at either side. This t-bar display has a size dimension of 9"W x 5 1/4"D x 8"H.
Last, but not least, is this lovely ring display that has a vintage glamour. It features a unique shoe-shaped design with a brown ribbon and tassel. 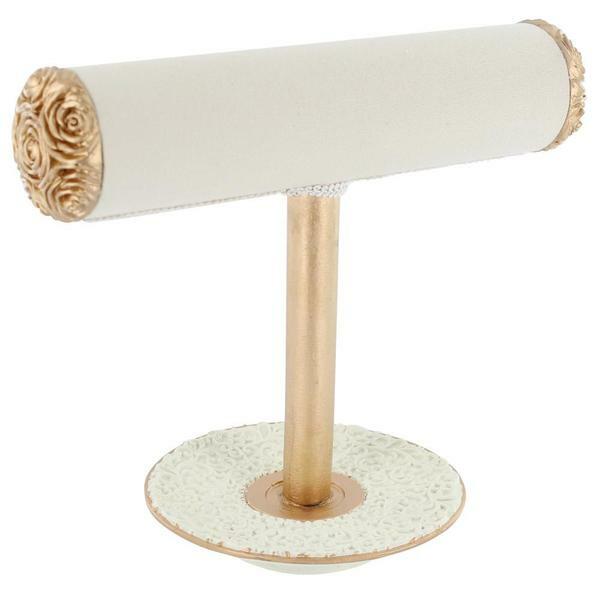 This display is made of resin and covered with elegant floral fabric that matches the ribbon and tassel. This display can hold up to eight rings and has a size dimension of 2''W x 6"D x 4 3/4''H. Which one of these is your favorite? Share us your thoughts in the comments below!